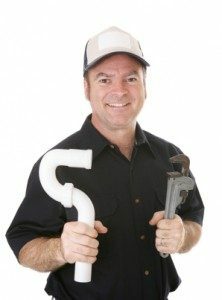 Understanding Your Water Main Before It Becomes a Plumbing Emergency | Robert B. Payne, Inc.
A ruptured water main during the summer is a huge problem, and it is impossible to fix on your own. Having to turn off your house’s water supply to deal with this problem during the hotter months can be stressful, but there are ways for you confirm that your water main is leaking and find possible causes of the leak. 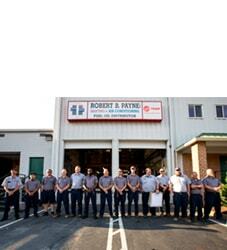 Our staff members at Robert B. Payne, Inc. will be there so you don’t have to bear this plumbing emergency alone, so we have compiled these tips to help you learn more about your problem. It may be easier to tell if there are broken water mains during summer because the climate is drier. Water leaks underground can cause the grass on top of the leak to look greener. If you find a spot of healthier grass in your yard, you may have a leaking pipe. In more serious cases, you may notice a small stream in your yard or near your home. Also, if you hear the sound of running water when you are not using any water, you most likely have a leaking pipe. 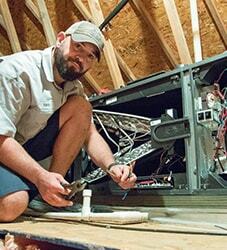 You many need to call our Fredericksburg plumbers to help you locate the exact origin of the leak. If you are experiencing a plumbing emergency and water is spewing from the pipe, you will need to call for help immediately. Water mains usually last for about 60 years, so age is the most likely cause of your problem. Alternative causes could be poor installation or an otherwise badly fitted pipe. Seasonal changes can also contribute to a pipeline break. An increase in temperature of only 10 degrees can cause more stress on the pipeline, resulting in a broken water main. Depending on the cause, you may be forced to replace the whole pipe or just a portion of it. Causes of the leak may vary, but it is possible to determine the approximate location of the leak on your own. 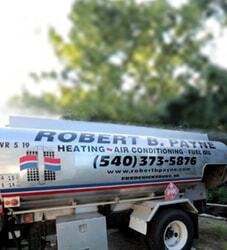 A broken water main can become a serious plumbing emergency, so call Robert B. Payne, Inc. at (540) 373-5876 to speak with one of our professionals who can offer advice or further assistance.